While driving along Mar de Caribe the other day I noticed a bigtop tent surrounded by trailers and paddocks in what used to be Parque Infantile. I stopped to talk to a roustabout and he showed me the owner's trailer. A rap on the door took Antonia Brusini, wife of Circo Padillo's owner, away from an air conditioner and into the heat and humidy of a San Felipe June afternoon. She was very cordial and offered to talk to me inside the bigtop, where raised canvas walls created a nice cross-breeze. I discovered the Cicro Padillo comes to San Felipe every two years with its collection of circus artists, animal acts, music, confections, clowns and lights. It is one of several migratory entertainment industries, which include other circuses and fairs, that follow the calendar up and down the Baja all year 'round. 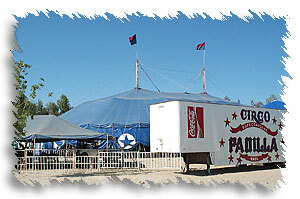 Circo Padillo is owned by three brothers, Francisco, Fernando and Rollando Padillo. Antonia infomed me that most circuses are started by ex-circus performers. Her husband Francisco was a trapeze artist, whose own father owned a circus. Francisco has been all over the world with his act, Brazil, Spain, Germany, even the Festival de Monaco, where he won the local press' popularity prize. He also entertained with the Ringling Brothers and Barnum & Bailey Circus for three years. Antonia Brusini was a teeter-board artist. She met Francisco while he was working for a circus in Germany. They fell in love and went to England together. Then later, Acapulco. 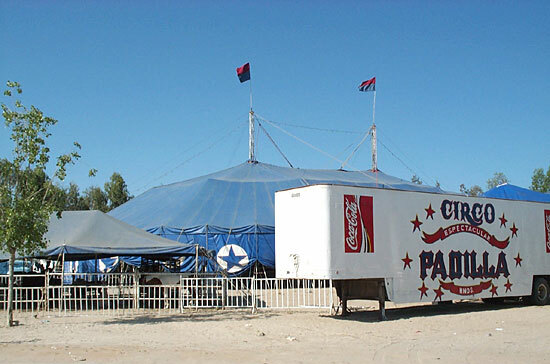 While in San Felipe, the Circo Padillo offers evening engagements that include juggling, a high wire act, trapeze artist, clowns, and several animal acts. 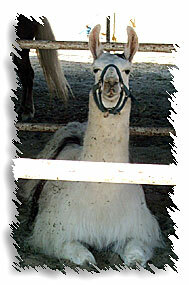 Of course, the usual Mexican circus attractions will be there, cotton candy, popcorn, nachos, chicharrones, sodas and more. I asked Antonia if the circus was a good life. She replied that nothing is good all the time. The circus was no different. It is a good life sometimes, and sometimes it is not so good. But she liked it. She also told me that running a circus was not an easy thing. "You can't just set up anywhere you want." Two weeks prior to their visit to San Felipe, she and Francisco had to connect with the local delegado and begin the paperwork. There were taxes to be paid. And although the Circo Padillo has their own generator for the bigtop lighting, their private trailers had to be wired into the local grid, so there were electrical bills as well. And water fees. And location rental fees. Also, two men were supplied by the delegado to be on hand while tickets were being sold and taken. This was to ensure there was no fraud involved. These men have to be paid by the circus as well. So it is an involved and costly process to bring a circus to a town. There are two shows Saturday and Sunday. Circo Padillo will be staying in San Felipe approximately 10 days and will proabaly leave for their next destination, Valle de Trinidad, Thursday, June 12th, 2003. From there, they will move on to Ensenada.